I would personally like to thank all who took part in this campaign. We made a great team giving each other support and motivation. This campaign was finished on 30 April, 2017. Trisaw___________________Industria Mechanika's 1/35 "Pawn Brigade"
Sounds good,would this work ? Model that successfully and you'll have my ultimate praise and respect. Lol...of course! Gary this sounds great. I'd be in on this if a Jagdpanther will be ok? Fantastic idea. I've watched a ton of those TOW and Kornet videos in Syria so will likely do a vignette of one of those. Jagd is the German word for hunting. And that long 88' was made to bust tanks. So Of course! Glad you like the idea! That sounds great! I'm way behind the times regarding modern weaponry, so it'll be educational, too. Sounds good Gary! Sign me up sir!! Hi, A Stug III G late rest in my stash. It's a good chance to change that. Am in Gaz -- this should give me the push to complete an open-topped tank hunter. Hmmm a tank-busting Stuka comes to mind as well. Am sure you'll get this across Aeroscale folks to get additional participants. I'd be in with a Marder or Jagdpanzer I! great idea! I might be interested for a very late 16 or early 17 starter. I'm currently In 2 other campaigns that finish early 17, but would love to take part in this with my Achilles. 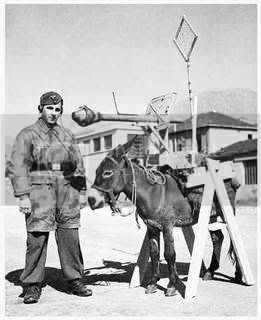 i think I might have seen a figure kit somewhere with a donkey in it. 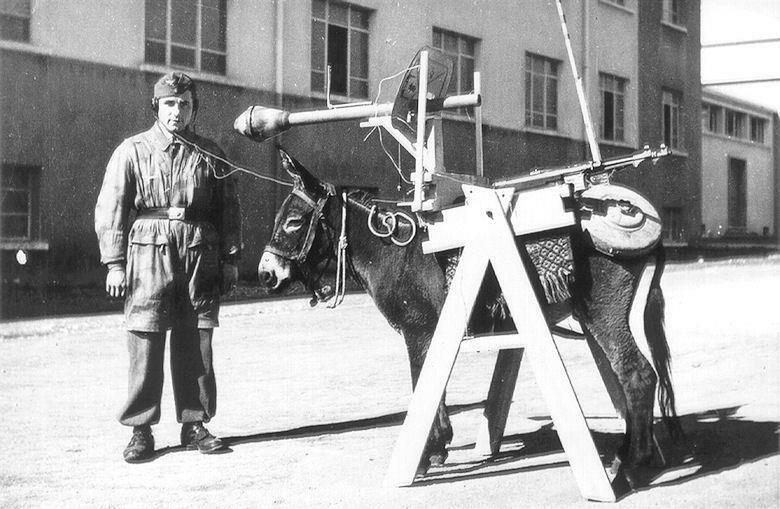 The Russians had their anti-tank bomb dogs.. is this the German equivalent? Also, i'm game for this. I've got quite a few options in my stash. Cool, Bryan! Glad to have you here, too. Comes with a complete communications setup as well. I'm in! 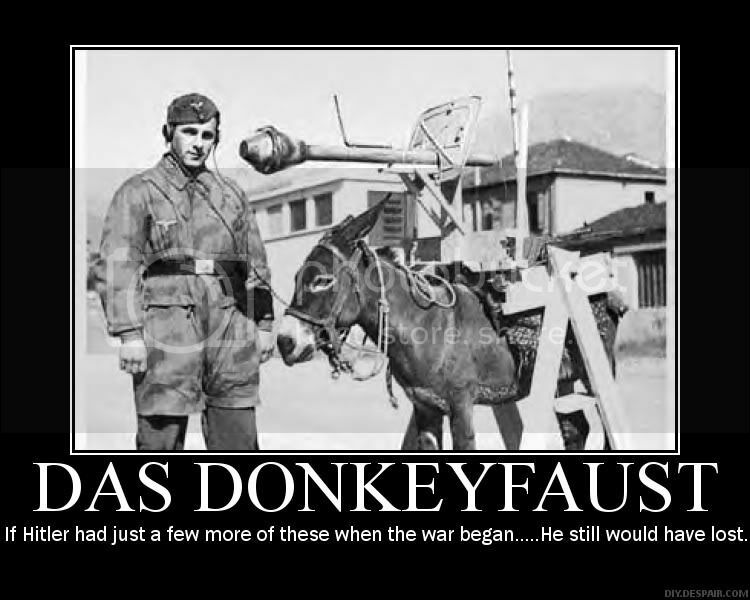 I don't have a donkey though - can I do an APC instead? I'm in! Overdue to do a STUG. That's eleven, guys! Now we just need a moderator or whomever administrates these things to help set it up. Thanks for posting this nice profile pic of a unique weapon. But under "armament" you forgot to list one Teller AT mine, mounted on rear of "vehicle." Alright, my friends! The campaign has been submitted. if anyone would like to submit ribbon designs, please feel free. There will be a waiting period for the final decision on the launch of the campaign. I have submitted a campaign period from 1 October 2016 through 1 March 2017. Ah yes, missed that one. I understand the commander has to first set that up, pin the enemy tank down, and finish it off with the panzerfaust. I guess this configuration is gentler on the suspension. EDIT: Campaign dates are cool Gaz! Reminiscent of the "landmines" that our dogs leave around the back yard, only louder!